How to do you lose weight fast? Search no more, find all the information you need in one place. The guide includes step-by-step instructions, a diet, lifestyle tips, exercise advice and everything you need to learn how to lose weight fast but healthy. Losing weight fast is not something bad provided that you do it healthy. There are many ways to lose weight quickly but most of them generate short term results. The requirement in this case is not just to lose the pounds fast and gain them back as soon as you terminate your efforts but to lose them and keep them off. 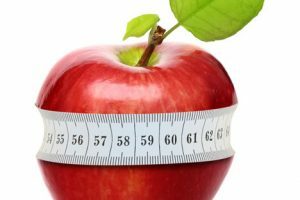 The only way to achieve fast but permanent weight loss is the healthy way; healthy does not mean that it cannot be fast, it simply means that you are not going to engage into any fad diets or products that are not safe. Our comprehensive guide is divided into four sections with each section representing a crucial stage in weight loss. In particular: the preparation, implementation, post-implementation and maintenance stage. The preparation stage is about the principles of how to lose weight fast and how to get your body and mind ready for this task, the implementation is the stage that explains what to do to actually save calories and accelerate weight loss. 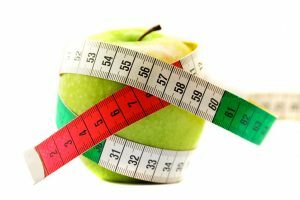 The post-implementation stage explains the lifestyle changes you need to make to ensure that you will not get the weight back and the maintenance stage will help you stay on your new weight forever. 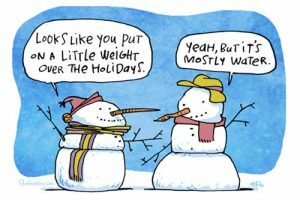 Attainable: Is it possible to lose 20 pounds by the end of this year provided that the maximum amount of weight you can safely lose in a week is 2-3 pounds? Realistic: Are you willing to make the effort? Losing weight fast is not the easiest thing to do and will require a lot of sacrifices. Are you ready to change your lifestyle, habits, eating pattern, exercise habits and get into the lane of rapid weight loss? Timely: If you weigh 200 pounds and you want to lose 50 pounds in a month because you have a wedding or a special event to attend then this is not possible. Make your goal achievable and reasonable. Decide how you will approach the whole weight loss process. Are you going to follow a commercial dietand exercise program or you are going to make a plan and define your milestones? We are not against commercial diets or weight loss programs that are based on healthy principles but these days such programs are hard to find. It is important that you choose a program and stick to it for a reasonable period of time (say 2-3 weeks) rather than switching from one diet to the other. To lose weight fast you need to know how many calories to consume per day in order to lose the weight in the time period you specified. It is important that you analyze your current eating habits and calculate on average how many calories you already consume. So, before staring a diet keep a diary (food journal) for a week and calculate the amount of calories you consume. Also start an activities diary to record how many calories you burn through exercise and activity. When you have worked an average for how many calories are coming in and how many calories are going out it is easier to calculate how many calories to lose weight. In simple words weight loss means to use more calories than you eat. This can take place by either decreasing the amount of calories coming in or increasing the calories going out (i.e. with exercise) or both together. In simple terms 1 pound of fat is equal to 3500kcal. So in order to lose 1lb of fat per week you need to eat 500kcal less per day than what actually need (3500kcal / 7 days = 500kcal per day). In general it is recommended not to lose more than 2-2.5kg per week and not to go below the range of 1000kcal per day. IMPORTANT: When you lose weight fast you don’t just lose pure fat. You will lose some water, some glycogen (stored sugar) and some protein along with fat. Assume that you consume around 3000 kcal per day and your energy needs are 2000 kcal you have a 1000 kcal excess which leads to you putting on weight. What you should do as a starting point is to go to at least to 2000 kcal dietary intake in order to have energy balance and not put on weight. Work out your diet to fall in the calorie range of 1500 kcal per day and you will be losing an average of 1 lb of fat per week (as mentioned above be aware that in reality you will not be losing just pure fat). If you want to lose weight faster (i.e. more than 1 lb per week) then reduce your daily calorie intakebut make sure that you do not go beyond 1000 calories per day since this is NOT healthy. So far we have seen how to set your weight loss goals, how to access your current situation and how to calculate the amount of calories you need to eat daily in order to lose weight. Our next section is the Implementation stage where you will learn how to save on calories and lose weight. Have a protein breakfast. Protein will make you feel full for longer and can keep your blood sugar more stable. Apart from the health benefits you will be less likely to feel hungry half way through the morning and have fewer snacks. Healthy cooking practice. You can have all nice fresh and healthy ingredients but the minute you throw them in the deep fryer or drown them in ketchup, mayonnaise or butter there is nothing healthy about them. Not to mention the calorie count. Foods can still taste as good if you grill instead of frying or if you use olive oil instead of mayonnaise. A simple meal like chicken and salad can become a health and calorie hazard in no time. Try roasting with herbs, or garlic, or a touch of lemon and mustard and you will see that it may even be tastier. Use oil spray. An easy way to control how much oil you use when cooking is to use an oil spray. When I refer to oil spray I mean olive oil. Unfortunately a lot of the oil or cooking sprays are vegetable oils which can contain a lot of trans fats or increase their trans fat content when cooked. Yes they may be hugely advertised as being very healthy as they can be low in saturated fats however they do forget to mention the trans fat issue and in comparison the trans fats may be worse for your health than the saturated fats. Remove the skin from the chicken and the fat from meat. Some chefs will argue that cooking meat with the skin or the fat will add taste. Fair enough but that does not mean that you have to eat it after. Apart from the calorific value of fat and chicken skin, it is also not very good for your health. Prepare your lunch box the night before. We all know that juggling work, family, social life, pets etc can be hard work. But even if you don’t have all the added pressures not many people like to wake up an hour early in the morning just to get the lunch box ready. Lunch boxes are usually full of sandwiches, crisps or you just limit yourself in the canteen which hardly has any healthy options or the corner shop. Why not cook an extra portion of the meal you having for dinner. Take that extra portion and put it ready in your lunch box for the day after. Your lunch box will be a lot more interesting than sandwich every day and you don’t have to spend a lot of time on it. Tackle the size of your portion. This does not mean stay hungry or skipping meals. Instead use smaller size dinner plates and fill them once without going for multiple layers. Did your mum tell you to eat all your food when you were little and to this day you can’t help but empty your plate even if you are stuffed? Go for a small portion and if you do finish and want more then have some more. However, don’t fall in the trap of eating a little bit and then a little bit more and then a little bit more…until you managed to eat a whole cow for lunch. Beware of emotionally eating. If you are an emotional eater it could be that your emotions are dictating your hunger. With emotional eating it is not always that you are actually hungry but you do tend to crave specific foods which reflect your emotional state. For example you feel sad you want something to comfort you. There are a number of techniques which can help you to determine if you are emotional eating and/or can help you break the emotional eating cycle. Cut down on sugary drinks. You will be surprised but ‘sugary drinks’ does refer to a large number of drinks. Hot drinks such as coffee, tea, hot chocolate etc. They may not seem as a lot of sugar however, if you do add a spoonful of sugar every time you have a drink by the end of the day you may have just consumed the whole jar. Do you have 3 – 4 cups of hot drinks through the day? In addition, drinks such as squash, ice tea, coke, lemonade, soda, milkshakes etc do contain a lot of sugar. Some fizzy drinks do come in sugar free versions however, there has been a lot of debate regarding the use of sweeteners and to be on the safe side is best to drink them in moderation. Fruit juices seem innocent but they as well do contain a lot of sugars. The 0.5g of sugar in a fruit juice will not tip the scales but when added to all the drinks and sugars you have consumed all day then it does make a difference. Have a packet of nuts in your bag. Dried fruits and nuts can contain quite a lot of calories. However, they are very nutritious and can make you feel full. Have a packet in your bag, and if you are stack in the tube or traffic, or in the office and you are hungry or just bored have a small handful. They are great in satisfying that sweet or hunger craving and save you from the crisp and biscuit danger. Sleep well. The body needs sleep to re-fresh and re-organise itself. Chronic lack of sleep can lead to hormone dysregulation and imbalances which can lead to weight gain. In addition, when tired people tend to crave sweet and high in calorie foods. It is called beauty sleep for a reason but also there are health aspects in having a good night’s sleep. Aim for both quantity and quality of sleep. Broken, restless sleep can be as bad as not sleeping. Try to follow some of the relaxation and de-stress techniques / ideas to help you enjoy a good night’s sleep. Get a weight loss buddy. Studies suggest that the success of weight loss clubs is not necessarily due to the diet regimes they use but because of the support they receive. In addition, studies suggest that people tend to have more success with weight loss goals if they receive support from their family circle. A weight loss buddy may help you motivate when you need it, you can have someone to talk to about your plans, progress, problems etc; not everybody wants to hear for the 10th time that you lost 4lbs and how or how much you are struggling to say no to a biscuit. For others it may create a bit of competition which may be the element that keeps them want to continue. However, just don’t let it over consume you. Eat the last meal of the day at least 2 hours before going to bed. Eat your last dinner at least 2 hours before going to bed. If possible have a 10 minute walk after dinner as this will aid digestion and leave your body with less work during your sleep time. Drink plenty of water. In general it is recommended to consume an average of 2 litres of water per day. I prefer to say make sure you are well hydrated especially if you are exercising and/or you are in hot weather. Say no to fast food restaurants. During the period of your diet try to minimize the consumption of fast food. They may advertise it as healthy and ‘diet friendly’ but in reality fast food is processed food which contains a lot of calories, fats and sugars. So you have managed to lose the weight, now what? It is time to enter the post-implementation and maintenance stages to ensure that you will not gain the weight back. The best way to achieve this is by changing your lifestyle. As with every weight loss regime I will say that if you don’t change your lifestyle and diet, those things which make you put on weight then you will put the weight back on post diet. This may sound like a glooming prospect; however, weight loss diets should not be seen as the ‘magic pill’ in a vicious cycle. You put on weight and when you want or need to you go on a ‘magic pill’ then you lose the weight so you can go back on putting on weight and pick a ‘magic pill’ when you want or need to….and so on…and on. I am sure some of you may have gone down that street a few times and you may feel fed up with it already. Tip 1. Look at the food and drinks diary you have kept in the week prior to starting your weight loss attempts. This can provide a valuable education and insight in respect to what you eat and drink every day. Find the things which you could change, remove or replace with a healthier option. Tip 2. Treat the dieting period as the beginning of a healthier lifestyle and weight rather than a 2 week prison sentence you have to do in order to fit in that dress. If you set yourself up to not enjoy it you will not enjoy it. Tip 3. Write a list of all the reasons why YOU want to lose weight or have a healthier lifestyle. All the people of the world may tell you about the benefits however, it is your life and it is your body. If you do not want to make those changes for yourself and for your own reasons you will not really be getting anywhere. Tip 4. Keep the list with your reasons for losing weight and making lifestyle changes in your bag. Use it to motivate yourself and/or remind yourself when you want to give in to temptation. Tip 5. Keep in mind that once you have managed to lose weight fast, your body will have adapted to eating less junk food, less sugars etc. You will not crave high sugary and calorific foods as much and once you have a high sugary and calorific food your body will let you know that it doesn’t like it. Tip 6. If you struggling to keep variety in your diet invest in a recipe food which provides healthy eating ideas. Once you get the hang of it use your imagination and you can make food as interesting or as plain as you like. Tip 7. Make a list of foods which you want to replace with healthier options. Your list can include olive dressing instead of salad cream, olive oil instead of margarine, mixed fruit and nuts instead of a biscuit and so on. This however does not mean that you cannot enjoy all foods. The occasional takeaway or having chips once every week or 2 weeks with a bit of mayonnaise will not kill you. It is the everyday practice which makes a difference. Tip 9. Introduce physical activity whether it is exercise or just taking the stairs instead of the lift. It can do miracles for your health and weight. Why exercise? Yes, you can lose weight with a diet alone but adding exercise to any weight loss regime can help to achieve your goals faster and easier. It is also the best way to ensure that you will not get the weight back. Some people may argue that exercising is not exactly ‘easy’. I must admit that if you have never exercised before the first few days will be hard, but do not despair if anybody else can do it so do you. Going back to exercising, in order to lose weight fast, exercise can increase the calories you burn daily. This takes place while you exercise and when you rest. You do need to use calories to fuel any physical activity, and the amount of calories you use will depend on the kind of exercise and intensity. Moreover, your body will be using some extra calories after you have finished exercising as it will need to recover and build the muscles you just used. On top of all this as you increase the muscles you have in time, your metabolic rate increaseswhich means that in general you burn more calories. Apart from the weight loss benefits exercise can have added health benefits. By exercising may improve your immune, cardiovascular and respiratory systems, mood and general wellbeing not to mention that you will look good. I couldn’t praise exercise enough and I am sure a lot of you have heard over and over again how important it is to exercise. Is it hard to exercise? My answer will be yes and no. If you hardly ever used your muscles or if you are obese then even a small walk around the corner may feel like climbing a mountain. If you are relatively active then walking around the corner could feel easy. It is true that in order to have fitness gains you will need to work above the level you are however this does not have to translate to undertaking an army style boot camp regime. I am sure that a number of ‘weight loss’ related television programs do have their participants taking an exercise regime of that sort. However that is television. My suggestion is to start from your own level. If you have never walked further than going to the car, then take a walk around the block not around the city. This is as good enough a challenge for your muscles and you don’t have to suffer for it. Start slowly and build up on what you have. Exercising should be enjoyableand not a torture if you want to stick to it (unless a torture is what you like which again would be enjoyable in that case). If you suffer and hate it you will not do it or you will give up eventually. Same as with a diet I always recommend to choose the type of exercise you like and work to the level you feel most comfortable with. This way it will feel not as hard and all the ‘after-pain’ should be a lot less. Do you have to join the gym or follow a set exercise program? No you don’t. For some people it works to go to the gym for but others it doesn’t. Similarly some people find it easier to follow a fitness DVD at home or an exercise class or even have a personal trainer. The choice of exercise is a personal matter and you should opt for what suits your preferences and lifestyle. Moreover, exercising doesn’t have to be a set program as any physical activity, even playing in the park with the kids is as good. Walking the dog, cycling to work or in the park, swimming, taking the stairs instead of the lift and a game of football with kids are all some of the numerous examples you can exercise without having to put additional time on the side. To sum up, learning how to lose weight fast is not as difficult as you may have imagined. In this comprehensive guide you have all the information you need in one place. We gave you the basic principles of fast weight loss, tips to lose weight fast, a healthy diet that works and advice to switch your lifestyle to healthy living. Now it’s your turn, set your goals, find your motivation sources and get started today! Ascherio, A. Willet, W.C. (1997) Health effects of trans fatty acids. American Journal of Clinical Nutrition. 66 (suppl):1006S-lOS. Blackman, M.C. Kvaska, C.A. (2011) Nutrition Psychology. Improving Dietary Adherence. Jones and Bartlett Publishers. Clark, C. Clark, M. (2007) The New High Protein Diet. Vermilion. Woawow! That is a really big guide! Wow – that’s a lot of information. I’m going to finish reading it later (I got about a third of the way through). I have to work on drinking more water. Wow, you sure put a lot of work into this, especially the diet chart. Nicely done! I agree, one the most difficult aspects of weight loss is convincing your body and mind to undergo through the process. Post is massive, lots of good tips there. Losing weight is not that hard if you put your mind to it. I guess the hardest job is to find which way it works for you the best. I have been lucky so far to find diet that works for me and workout regime. Now keping the weight off is a very easy job.